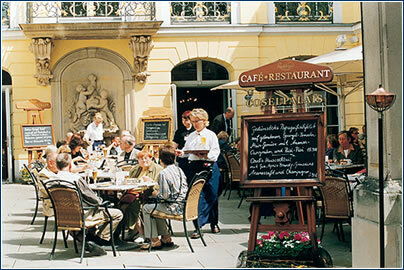 The capital of Saxony is world famous for its art treasures, theatrical productions and Baroque buildings. Though still undergoing post-war reconstruction, Dresden is well on its way to regaining its status as one of the most architecturally impressive cities in Germany. 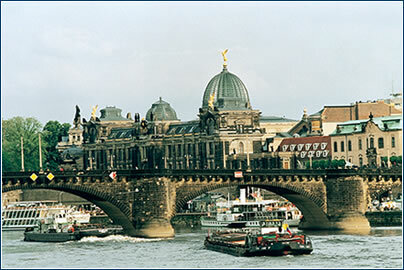 Favorite attraction: “Blaues Wunder”, a 19th-century bridge across the Elbe river. Former cigarette factory built in an Oriental style, it reminds one of a mosque. Today it houses offices, restaurants, and a theater. Advice: Don’t miss the Dresden countryside, for instance, the Saxon Switzerland. Advice: It is worth it to combine the trip to Dresden with a boat trip. A beautiful route is towards Meissen, with vineyards on both banks. Taschenberg Palais, Taschenberg 3, tel. : + 49 351 49120 – in the higher price category. Best-kept secret: Don’t give up because of the first impression. There are many construction sites and the city may seem much too calm. But there is something to discover! Advice: Don’t miss any tourist attractions near Dresden, such as Morizburg castle, or Pilnitz castle with its camellias in blossom. www.dresden.de/ – the official city homepage, in English and German. 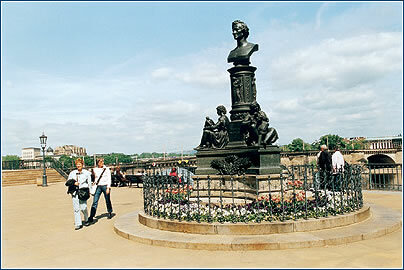 www.lodging-germany.com/info/Dresden/practical.htm – good starting off point, as it serves as a portal link. avel.guian.co.uk/readeroffers/europe/page/0,12302,842689,00.html – pre-packaged itineraries available on this site. www.go-dresden.de/aboutdd2.htm – good overall information site, with essential facts, history, etc. · As an important industry center of eastern Germany, Dresden had to live with the economic collapse of the Soviet Union and the other export markets in eastern Europe. A completely new law and currency system was introduced in the wake of Communism’s downfall, and much new infrastructure had to be built with help from western Germany. 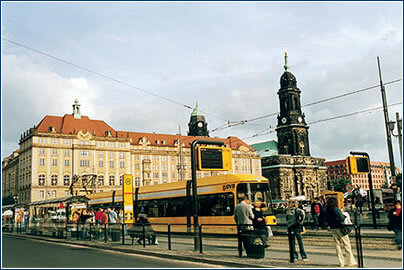 · Today, Dresden boasts the ideal combination of economy, research, and science. More than 30 institutes, as well as many academies and colleges, are a visible sign of the city’s innovative potential. With such prestigious research centers, the city has become a world leader in many industries of the future, such as microelectronics, silicon technology, electronics, and and biotechnology. · Dresden offers a whole host of conference venues, such as the Kulturpalast, the Albrechtsberg castle and the casemates, which form part of Dresden’s fortifications underneath the Brühl Terrace. The Dresden trade fair centre has an ultramodern multipurpose hall and the auditorium at Dresden Technical University can accommodate 1,000 people. There is also the Dresden International Congress Center, which will be opened this summer, just a stone’s throw away from the historical heart of the city. · Working hours are generally 0800-1700. Punctuality for both business and social events is extremely important. Germans are impressed with efficiency and strong business sense, and this is displayed in firm handshakes, a formal use of business cards and an appreciation of straight talking. Business contacts must be addressed by their surname and by the formal “Sie” for “you”. Titles should be used wherever applicable. Both men and women are expected to wear suits – men should also wear a tie. · Business socializing mainly takes place over lunches, especially on Friday, as many offices close at around 13:00. After-work drinks are a more casual affair between colleagues and seldom involve clients.